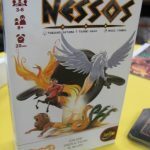 Highlights from Iello’s booth at Gen Con include Nessos and 8 Bit Box. 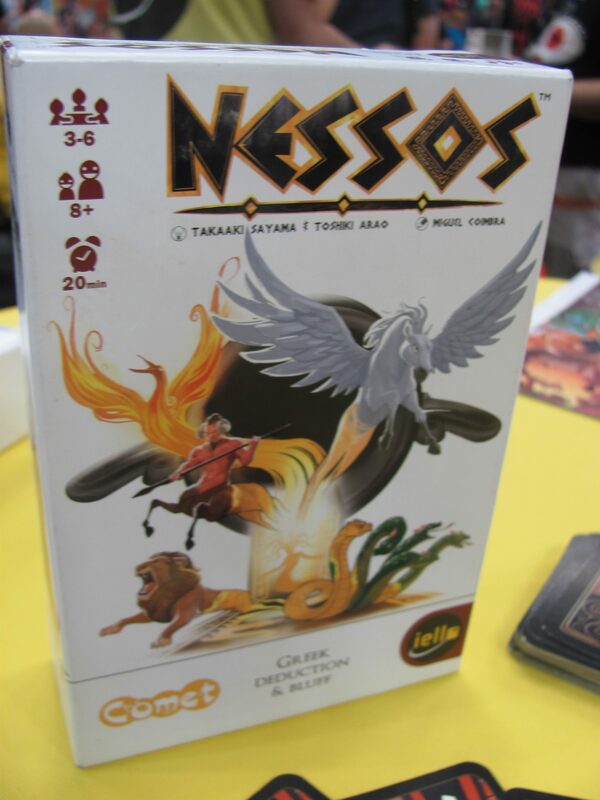 Nessos ($15, Q4) is a bluffing card game for up to six players with a Greek mythology theme. 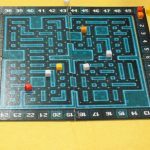 One player passes to the next a single card face down. 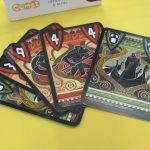 If it’s a red creature card, they must correctly name the creature and card value. 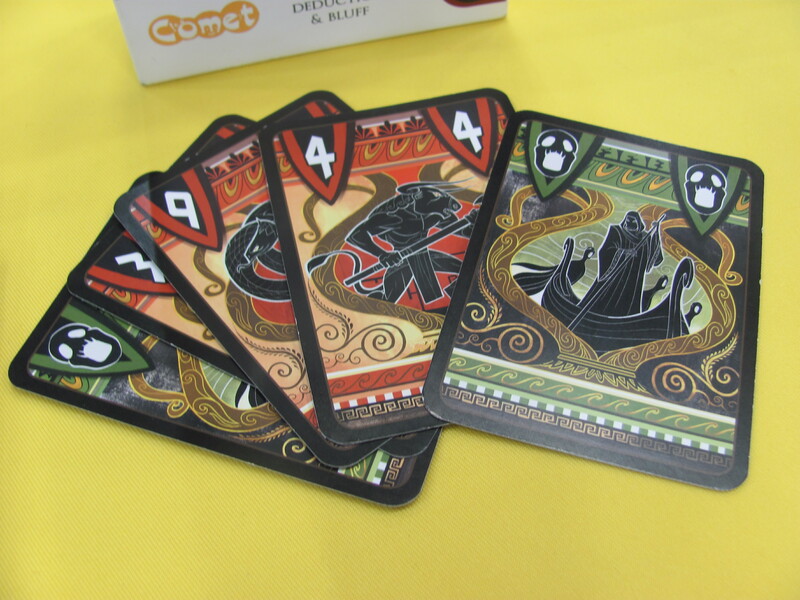 If it’s a green Charon card, though, they have to lie. 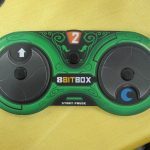 The receiving player, then, has three choices (before looking). 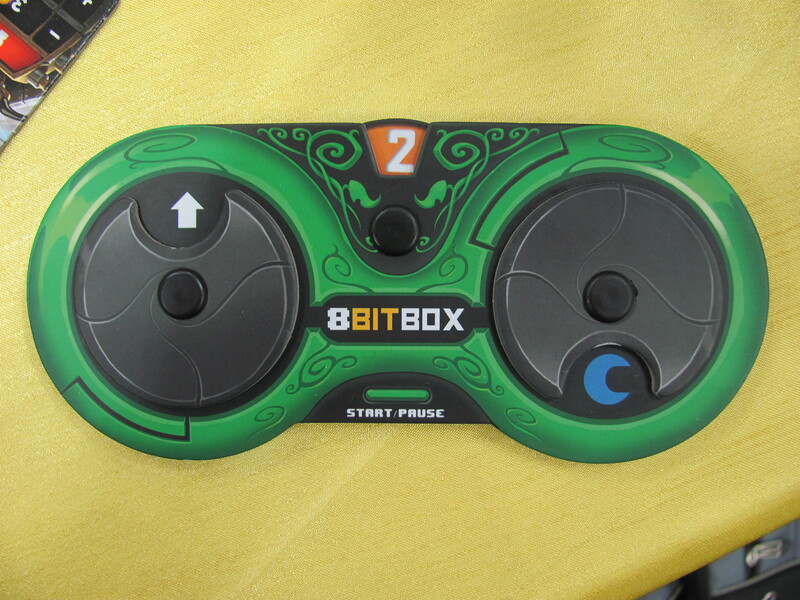 They can accept the card (and flip it over); they can return it (in which case, the first player flips it over); or they can pass it, along with a card of their own. 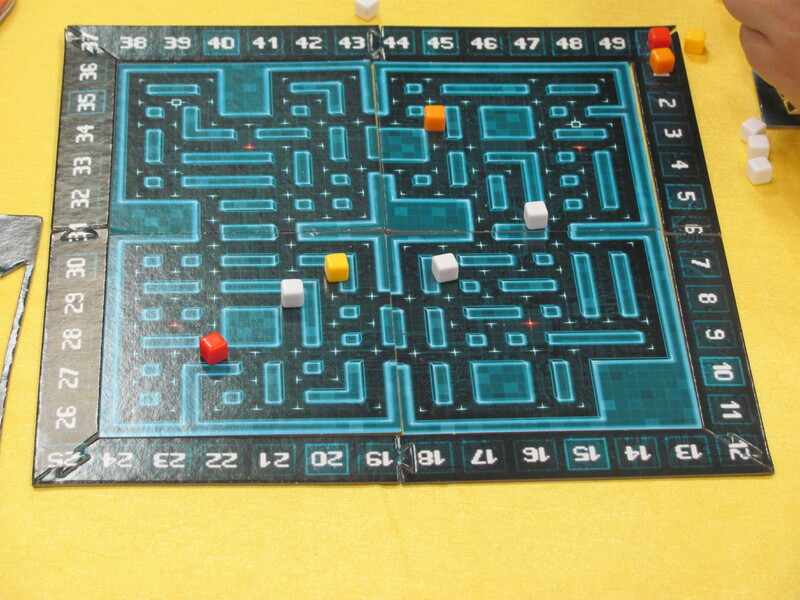 The first player to 30 points is the winner but a player with three green cards is out. 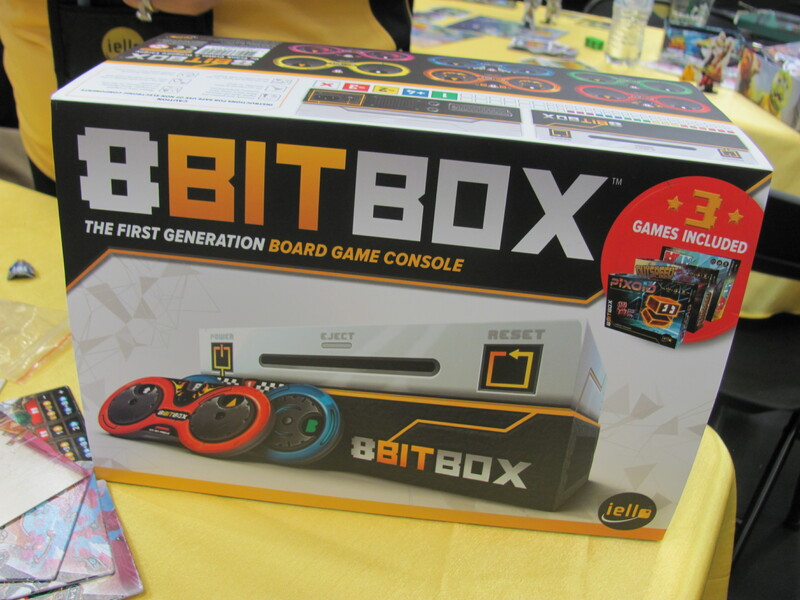 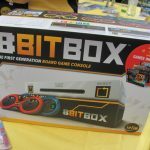 8 Bit Box ($40, Q4) is something Iello is calling a “board game console.” Inspired by early video games, 8 Bit Box provides a set of “controllers” (dual cardboard dials) for use with a series of individual games. 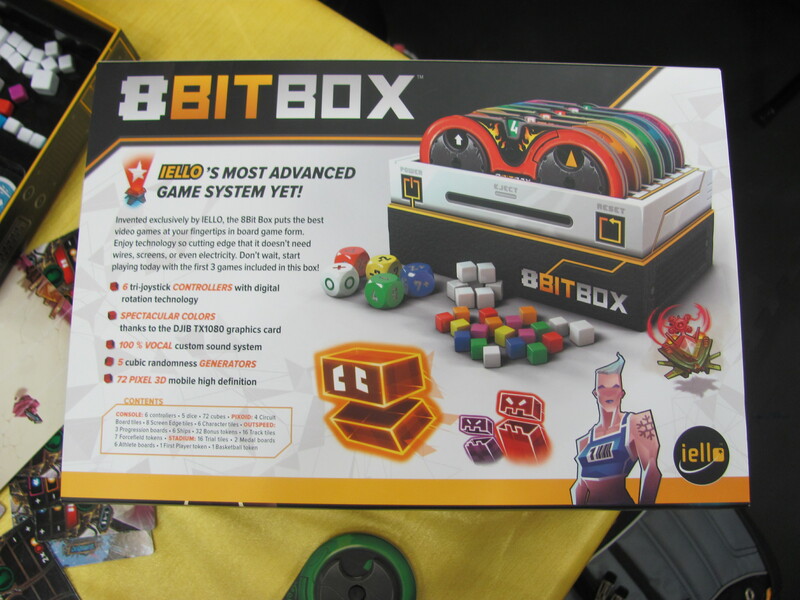 Included with the base box are the game modules Outspeed (a racing game), Pixoid (similar to Pac Man), and Stadium (team racing). 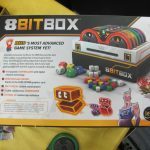 There’s also room in there for seven additional games.